Maricel Soriano Hailed As Best Dressed Woman On Preview July 2009 – Hot Pinoy! 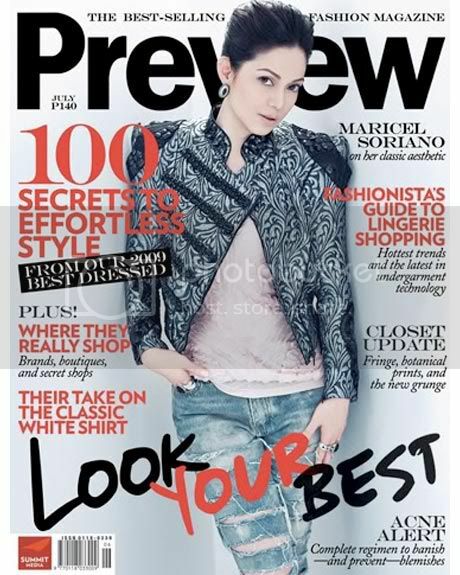 Preview Magazine has Maricel Soriano on their cover this July 2009 hailed as No. 1 on their list of 10 Best Dressed Women for 2009. The Diamond Star is on her classic aesthetic paired with ripped jeans.